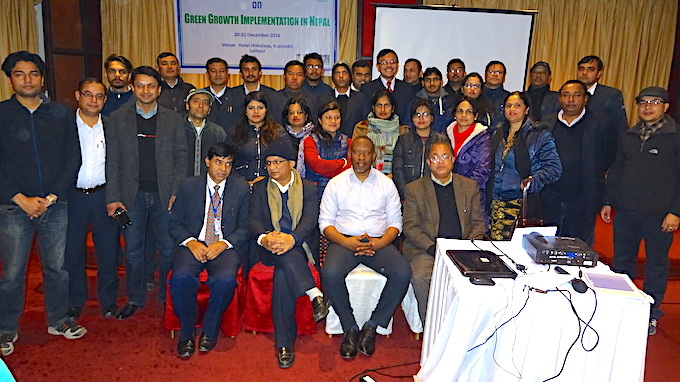 In December 2016, Dr Canford Chiroro, CIDT’s green growth expert, and Shankar Paudel (Rupantaran), delivered four training modules to government workers in Nepal with the aim of embedding green growth awareness throughout the country’s ministries, departments and municiplaities. Green growth is economic growth that is balanced with environmental sustainability and social inclusivity. 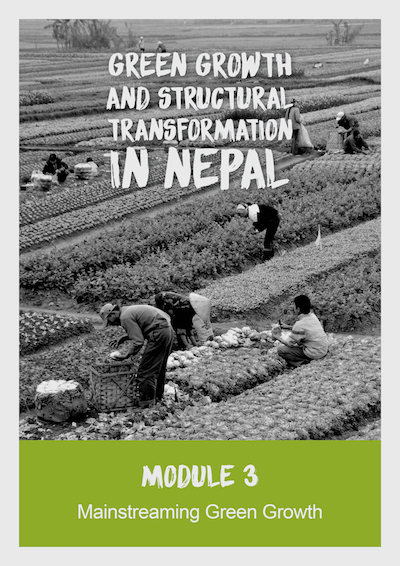 These modules were aimed at equipping participants with the conceptual understanding of green growth, as well as develop their practical skills on how to integrate the green growth approach into ongoing projects and sector plans. The 31 participants (22 male, 9 female) were selected by their colleagues during the training needs assessment. They were identified for their planning and project implementation experience, willingness to share information, enthusiastism in training others and being trusted by colleagues as the ‘go-to’ person. These qualities were important for the training to be scaled up across the targeted ministries, departments, and municipalities. Participants selection was inclusive, involving multiple government ministries (Federal Affairs and Local Development, Forests and Soil Conservation, and Agriculture Development), departments (Energy Development, Environment, Forests, Soil Conservation and Watershed Management, Urban Development and Building Construction) and local municipalities (Madhyapur and Budanilakantha). 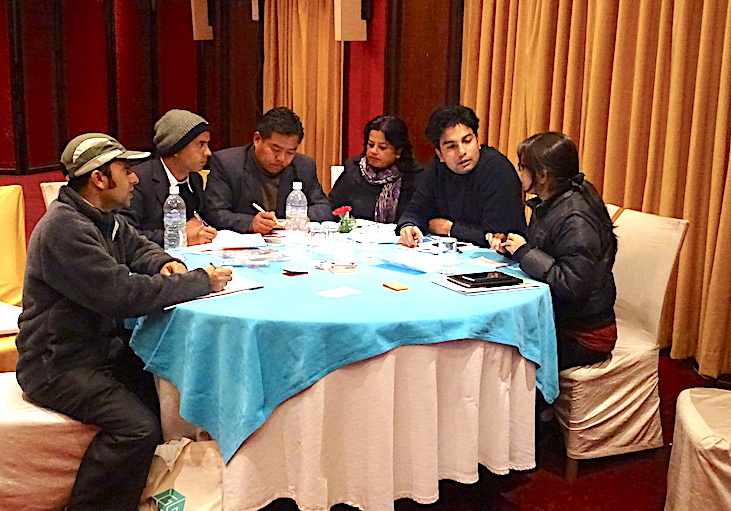 The workshop featured active discussions and tasks around designing for a green economy. At the end participants reflected on the training and developed personal action plans, with commitments ranging from incorporating green growth into ongoing projects, to making small adjustments to lifestyle, like cycling, using LED lights, recycling more, and sharing information. 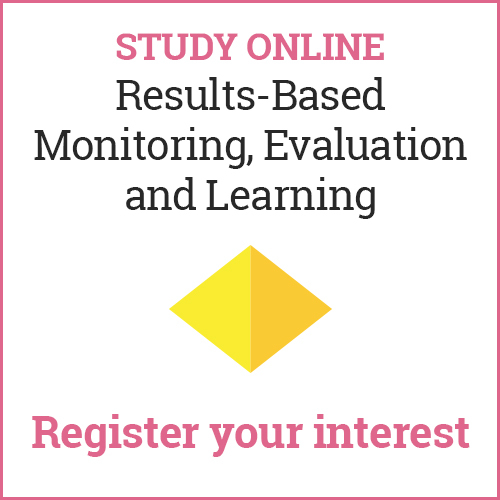 An online group has been created to support the commitements made, which will also facilitate continued dialogue and collaboration between participants. 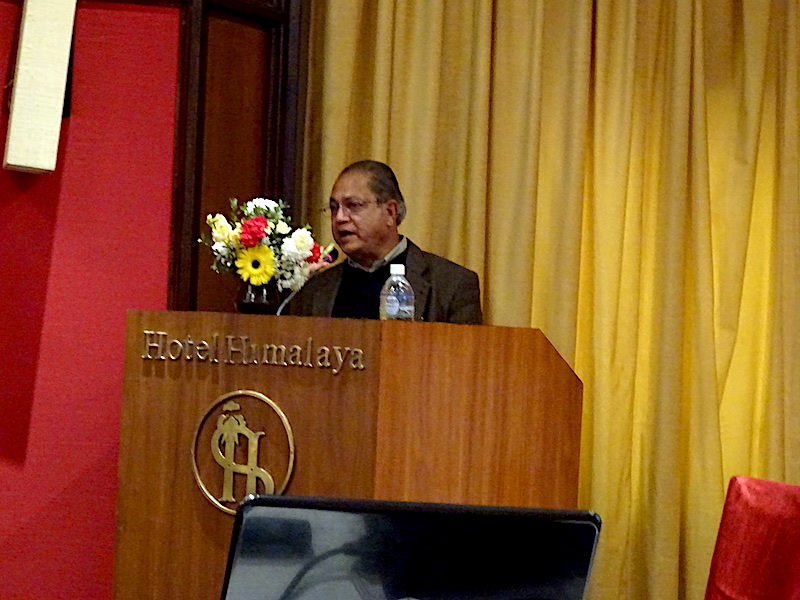 The event was hosted at the Himalaya Hotel in Kathmandu on the 20th-21st of December 2016. For further information about this project please contact Dr Canford Chiroro.